Caesars Head connects to Jones Gap State Park in what is known as the Mountain Bridge Wilderness Area, an 11,000-acre area of pristine southern mountain forest. 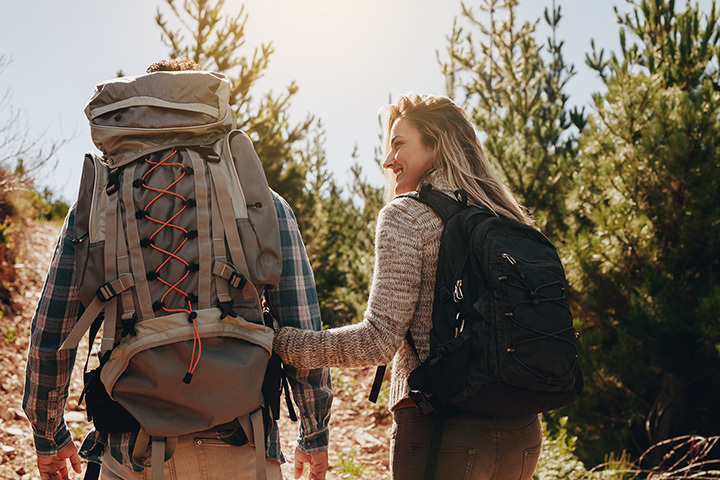 Hikers can take a number of loop and traverse hiking trails that connect the parks, and trailside camping is available for those who choose the longer routes. One of the most popular trails at Caesars Head is the two-mile Raven Cliff Falls trail. This hiking trail leads to 420-foot Raven Cliff Falls, where a suspension bridge offers one of the two publicly accessible overlooks to the falls as they plunge deep into the mountain cove below.